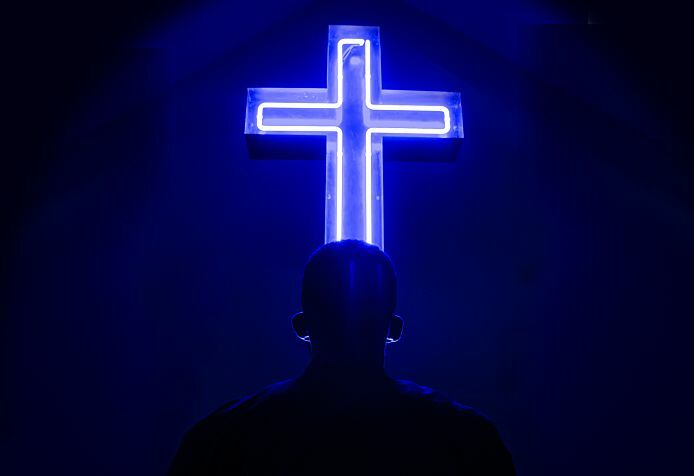 The first week of rehearsals for The Christians has really unveiled what a layered play this is. On our first day, we saw the fantastic model box and carried out a read through of the text. It's always great to hear a play out loud for the first time. You get to experience how actors have interpreted a voice you've only ever had in your head for the last couple of months. I have also carried out some research for the show and it has turned out to be an incredibly interesting play to explore, because once you begin, it opens a series of different avenues for you to investigate. I've been reading a book called 'Love Wins' by Rob Bell, who is a pastor who questioned the existence of hell, (a move which shook the media and some of his followers). As well as examining Mars Hill Bible church, in Michigan, where Bell used to be pastor. I have also been looking into other Evangelical figures like Rick Warren who is a pastor of a megachurch in America, (Megachurches are churches that have 2000 or more members of the congregation.) and how different it is from our churches over here. I have collected some pictures and videos of these churches and pastors, so we can begin to understand the culture of these buildings. We also had a visit from Giles Fraser, who is a priest of the Church of England, who came in to our rehearsal room to answer some of our burning questions about religion. All of this, and it is only week 1! Array (  => Array ( [id] => 79 [created] => 1436373420 [updated] => 1436373420 [ordering_count] => 72 [intro] => Assistant Director Lynette Linton reports on the first week of rehearsals for The Christians [title] => The Christians Rehearsals: Week 1 [slug] => the-christians-rehearsals-week-1 [category_id] => 12 [body] => The first week of rehearsals for The Christians has really unveiled what a layered play this is. On our first day, we saw the fantastic model box and carried out a read through of the text. It's always great to hear a play out loud for the first time. You get to experience how actors have interpreted a voice you've only ever had in your head for the last couple of months.